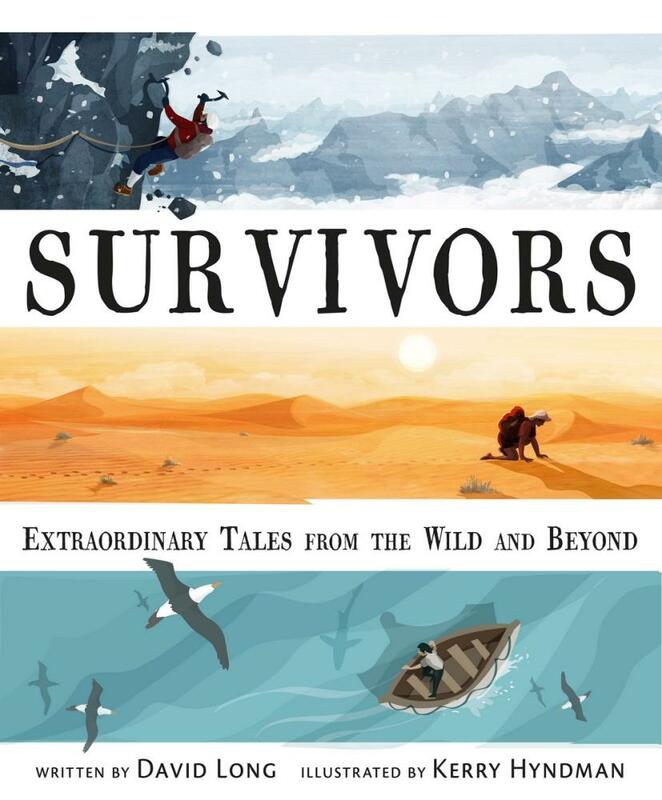 For as long as people have looked for adventure, some have also found danger, and when it comes to stories of survival few can match the true tales told in this book. And that pretty much sums it up! This is a fascinating book for the entire family. 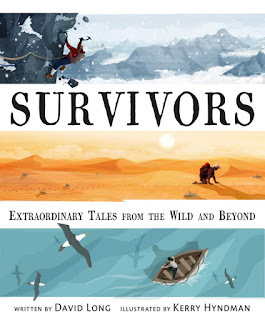 David Long has done an excellent job of including stories that may already be familiar to many (for example, Antarctic explorers Douglas Mawson and Ernest Shackleton; and Australia's own Brant Webb and Todd Russell who survived two weeks trapped in Tasmania's Beaconsfield gold mine), as well as equally incredible stories of 'unknown' heroes. One of my favourites is about two German families who made a hot-air balloon so that they could fly across the border from East Germany to West Germany in 1979. They had to stitch the balloon together from scraps of fabric they bought from various shops over a period of months (so as not to arouse suspicion) and when they ran out of gas earlier than anticipated, forcing them to land, they had no idea whether they'd actually flown far enough to cross the border. It was the sight of a modern, expensive tractor in a farmer's barn (machinery not available in Communist East Germany at the time) that made them realise they'd successfully escaped! The range of survival situations covered in the book is incredible. Aron Ralston, a canyoneer, had to cut off his own arm after becoming trapped under a rock in 2003. Juliane Koepcke fell from the sky in 1971, after the plane she was travelling in was struck by lightning and landed in the Peruvian jungle. Others survived avalanches, volcanoes, deserts, floating at sea for over 100 days, or being trapped at the bottom of the ocean in a malfunctioning submarine. One message comes through: the power of the human spirit to overcome adversity and survive against all odds is truly remarkable.